Buy more spend less! Did you know that if you buy a higher quantity of distilled or demineralised water from us you can save money, see below for more information. 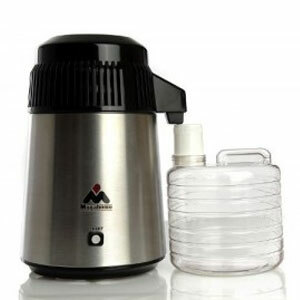 The Mega Home Water Distiller is a trusted distilled water system that heats H20 until its steam, followed by cooling it down as purified, softened water. From the manufactures that have delivered high quality water distilling machinery for over 20 years, it guarantees that your water is 100% boiled, steralised, clean, safe and environmentally friendly. It is fully certified globally for safety and excellence, which makes it perfect for personal use at home. While you might want to distil water at home using traditional methods, often the process is not 100% full proof as most tools at your disposal aren’t built to provide a high quality of purified water. Mega Home Water Distillers, on the other hand, offer a safe alternative that adheres to the RoHS (Restriction of Hazardous Substances) standard. 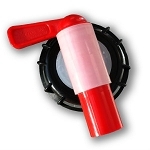 They’re also easy to maintain, meaning very little attention is needed when distilling water for home use. 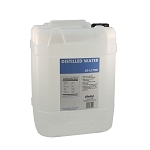 The Distilled Water Company proudly offers this renowned water softening system online. We offer a swift delivery service to ensure that you get your order in time to distilled water at home. Purchase your home water distiller from us today!